and we do the clean up! Each month, children with birthdays in that month will receive an invitation to come with their families and friends to Shabbat services, followed by the party. Parents of the birthday child will be honored at the adult services, while children will participate in a special children’s service, led by enthusiastic Rabbinical students. Services at Shaloh House are always a warm, welcoming experience. After services, adults will be invited to participate in a grand Kiddush with delicious, Jewish-style food and drink. 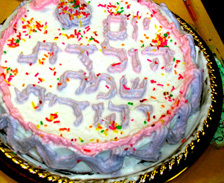 Children, meanwhile, will attend the communal birthday party, where each birthday child will receive a present with a Jewish theme, as well as a fancy certificate documenting his/her Jewish birthday. To register your child now please fill the form below. We will inform you of the precise date of your child’s Jewish birthday, and send you an invitation for the party prior to your child’s birthday. Children ages 4 to just under Bar/Bat Mitzvah may participate. 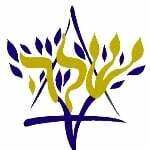 The program, run by Shaloh House Jewish Day School, has been sponsored by a grant from the Combined Jewish Philanthropies’ Brookline-Brighton Jewish Community Fund.